Get ready for an AMAZING week of FUN, SUN, EDUCATION and NETWORKING…with some of the biggest brains in real estate, investing, economics, wealth building and entrepreneurship !!! After SIXTEEN Summits, we’ve got this thing pretty dialed. Of course, with lots of alumni, we also like to change things up. And because we never know what great speaker, interesting topic, or fun activity will come up at the last minute … our itinerary is always subject to change at the whims of our creative genius and divine providence. Yes, we know the Summit doesn’t officially start until Friday. But we start EARLY on Friday … and you won’t want to miss a minute. So PLEASE … arrive in Fort Lauderdale, Florida no later than the afternoon of Thursday … and get checked into our group hotel (we’ll send you all the details once you’re registered). Your Summit registration INCLUDES your hotel room for Thursday, checking out on Friday which is the day we board the ship. Anything extra (before or after) is on you, though we can probably get you a good group rate. So when you register, let us know if you plan to get in early or stay late to explore Fort Lauderdale or the surrounding areas. Summit check-in is open 5:00 pm to 9:00 pm … and there’s a special reception for Summiteers (that’s what we call you). Day 1: Some Learning on Land … then All Aboard!!! Day 1 starts with our a hosted breakfast on land, followed by educational sessions … and then the most entertaining pre-board briefing you’ve ever seen. Do NOT skip this session … even if you’ve cruised a dozen times. 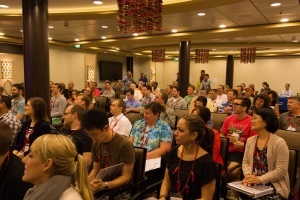 The Summit at Sea™ is NOT a cruise … and there’s a LOT to know about how everything works for our group once we’re on the ship. When the land portion of the day ends mid-day, we all pile into buses and shuttle to the pier where we’ll climb (actually, they provide a ramp) on board the big, beautiful, sensational Celebrity Silhouette. After being awe as you board this AMAZING vessel, you’ll settle into your stateroom (that’s cruise jargon for your cabin). If you have a balcony stateroom (which is HIGHLY recommended, so don’t wait too long to register … balcony cabins sell out FAST) … you can stand outside and wave goodbye as the ship sales away. We’re headed into the warm and beautiful Caribbean Ocean and won’t be back for more than a week! Now if you’ve cruised before, you know cruise lines always assign you a permanent dining seat. But that means you end up sitting with the same people every night. That’s fine (probably) if you’re only traveling with your spouse and family. But we’re here to meet and mingle with new people and our illustrious faculty. So each night, you’ll still have assigned seating. But we change up the seating chart EVERY SINGLE NIGHT. So you never sit in the same place or with the same people twice. Of course, if you’re attending with your spouse and/or family, we’ll keep you together. Other than that, we’re forcing you to make new friends. The goal is to help you meet and get into quality conversations with as many of your fellow Summiteers and faculty as possible. No wallflowers on this Summit! Like Cheers (if you’re old enough to remember the old TV show) … by the end of the Summit, everyone will know your name. We’re at sea the entire day. So while the other passengers play shuffleboard and compete in the hairiest chest contest, you’ll be feasting your brain on great investing ideas served up by our fabulous faculty. At this point, you may be wondering about the seminar agenda. So are we. We don’t actually put the agenda together until about a week before the Summit…and even then it’s subject to change. Because we live in a constantly changing world and don’t want our faculty coming in with canned talks they present at conference after conference all year long. And they don’t have anything to sell you, so no canned sales pitches either. This event is a SUMMIT of great minds (including yours), where our faculty members talk about whatever is on the top of their minds, and comment on whatever is currently happening in the markets, and answer your real time questions in an interactive format. In 16 years, we’ve NEVER had anyone complain about a lack of content or value. So we’re pretty sure you’re going to love it too! So come with an open mind and get ready to expand your thinking, your network…and probably your waist line. On the Summit, you don’t have to worry about your brain or body starving! Nearly every day we’re on the ship, you’ll have the opportunity to enroll in optional Round Table Topical Discussions with one of our MANY subject matter experts. As topics are announced, you’ll have the opportunity to pick a topic of interest and reserve a seat in a small group hosted by that topic’s subject matter expert. Then you and those fellow Summiteers who are also interested in the topic will all sit down together to learn and discuss the topic. 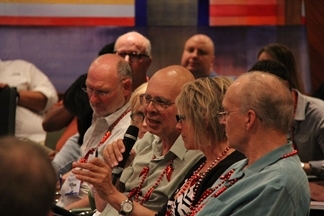 As you’ll discover, the Summit is full of LOTS of smart, successful, subject matter experts … on a wide variety of topics including precious metals, crypto-currencies, agriculture, apartments, resort property, mobile homes, assisted living, asset protection, estate planning, infinite banking (a mind bender for sure), financing, syndication, and much, much more! After a full day of classroom sessions, it’s back to your stateroom to primp and prep for dinner. Sometimes … in fact often … we do some kind of pre-dinner private party. There’s no lack of activity or opportunities to connect with each other! And on at least one of the nights on the ship, there’s a formal night … so you’ll need to pack some fancy clothes. But don’t stress about that now. Once you’re registered, we’ll send you all kinds of handy reminders and checklists to make sure you have everything you need. This isn’t our first rodeo … or Summit. On formal night, we all gather after dinner so you can show off your fancy threads and flash your pearly whites for our annual Investor Summit at Sea™ group photo! Yes, that could be you all fancied up and smiling next to Peter Schiff, G. Edward Griffin, Tom Hopkins or one of our many other fine faculty and Summiteers! The ship docks at 7:00 am ship time until 4:00 pm when it sets sail again. That gives us a whole day to do something fun. Although we haven’t finalized our plans, this is the most likely port for our optional Summit at Sea Education Shore Excursion. Every year, we pick a port where we can learn something interesting. It costs extra and we don’t have room for everyone, so if you’d rather lounge by the beach or shop for an entry for the Ugliest Souvenir contest, you’ll have the day off. If you’d like to join us, be sure to register RIGHT AWAY … because roster spots are made available based on your “Summit number” … which is the order you registered in. A low number is good because it means you get an early pick for round tables, shore excursions, and any other optional, limited space opportunities. Again, we haven’t finalized our plans for Grand Cayman, but we think this is a good place to talk international banking, asset protection, and privacy structures. Or, we may go look at a cool real estate development. Or both. Whatever it is, it’ll be awesome. There’s a lot of sea between Grand Cayman and our next stop, so we’ll get back in the classroom and put time to good use. We’ll be up and going early … for more presentations, panels, and round table discussions. Then a quick break to get refreshed … and more dinner discussions and late night socializing. Have we mentioned you should pace yourself? The ship is scheduled to port at 10:00 am. If we’re feeling ambitious … and we usually are … we may cram another classroom session or two on the morning. We’re expecting our typical enormous faculty (numbers, not body type) … and we want to give them ample time to impart their tremendous wisdom and insights. Besides, the ship stays in port until midnight … so there’s plenty of time to get off the ship and do something fun. We usually give the faculty one day off … and this might be it … or this could be the day we do our optional, but epic, private beach party. We’re figuring all that out. All we know is we have four great ports, a fantastic faculty, and a lot of time to divide between learning, networking, partying, and recovering. And Aruba is amazing. So this will be a GREAT day. This time, the ship’s in port 8 am to 8 pm. Could be a day off. Could be a beach party. Could be another educational excursion. We’ll surprise you. But it will all be good. Besides, with our late dinner seating, we’ll be back on the ship in time to enjoy another delightful dinner on board full of lively discussions with our many new friends. And we’re pretty sure we’ll find some late night fun to partake in too! Wow! ANOTHER beautiful port to enjoy with all you new friends. This is why we say you’ll get more done in a week in terms of building your education and relationships, then most people get done in a decade. The ship pulls in at 7 am and stays in port until 4:00 pm. That’s good because we have a busy day tomorrow. Plus, we’ll be back in board in time to have our annual and amazing Cash Flow game night before we all go to dinner. Thank God it’s Friday (like you’ll even know or care what day it is!). After all that goofing off at all those beautiful ports … it’s time to get back into the classroom and get to work! So this is another full day of presentations, panels, and round tables … followed by dinner and some late night fun. When you’re packing this much knowledge into your brain, you need to process it through conversation to lock in the learning … and then blow off some steam and let your brain decompress. This is our LAST day together and we’ll make it count! After our morning session, you’ll be part of the live studio audience as we record a commemorative episode of The Real Estate Guys™ radio show. Afterwards, now that we’re all friends, we ask everyone to share their best ideas and action plans. This last day is often the MOST powerful of the week because it’s where it all comes together. We’re also all feeling a bit nostalgic because we know this Summit is coming to an end. It’s like that last day of summer camp when you were a kid. It’s sad to think your new BFFs are about to disperse to their respective homes. But we’re not ready to say good-bye just yet! 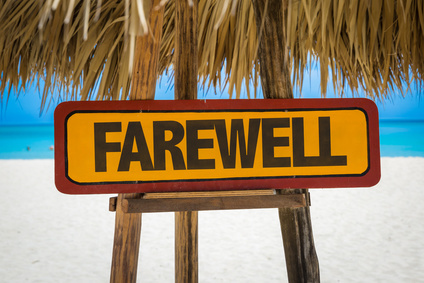 So at the end of the day, we’ll take a quick break so you can freshen up…and get ready for our private farewell party. This is one you won’t want to miss…because we have something special (and FUN) going on. So when we finish our day, we’ll get together for our final evening of lively conversations over yet another delicious dinner. Yes, you’ll get on board the ship as a “passenger”, but will probably leave as “freight”. So pack some loose clothes too, because your mind isn’t the only thing that expands on the Summit! You’ll want to be comfy for the trip home tomorrow. After dinner, the night owls will once again gather for the last bout of late night fun and camaraderie – and our infamous “Jam in your Jammies” party. Yes, it’s just like it sounds: a live music pajama party into the wee hours of the night. So be sure to pack publicly presentable PJ’s. Who said investment conferences have to be boring? You haven’t lived until you’ve seen Peter Schiff party in his PJs. And this party will be extra because it’s Peter Schiff’s birthday! You don’t have to go home, but you can’t stay on board. Full Disclosure: This is the worst day of the Summit. Why? Because it’s over. We disembark, and like high school graduation, we say good-bye until our next reunion. Fortunately, we don’t have to wait 5 years to see each other again because before we’re off the ship, we’ll announce our 2020 Summit! On this day of disembarkation, the ship will pull into port at Fort Lauderdale in the morning. For some, they’ll just be getting back to their rooms. Others will sleep a little late. Though there isn’t anything formal scheduled, most of us try to see each other one last time in the dining area, then we say our sad goodbyes and get off the ship. As far as our class schedules go, the faculty works on their presentations in the two weeks just prior to the Summit so the content is always fresh, current and dynamic. But that also means it’s subject to change. In 17 years, we’ve NEVER had anyone tell us they were disappointed! The testimonials really say it all. Our goal is to deliver a world-class and potentially life-changing event … and then add YOU to our long list of satisfied Summiteers! 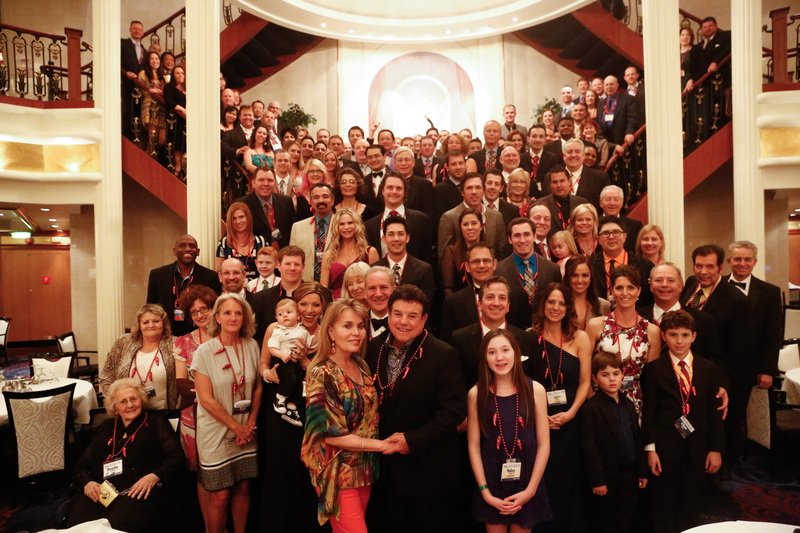 Our 17th Annual Investor Summit at Sea™ has sailed!